Borussia Mönchengladbach were a dominant power in the 1970s, winning five titles and making five European finals, winning two. Forever linked to this fast, young side that earned the club the nickname ‘Die Fohlen’, the Foals are looking to become a major force once more. They took a major step in 2014-15 with a third-place finish in the Bundesliga and a return to Europe’s premier competition for the first time in some three decades. Formed as FC Borussia in the district of Eicken in 1900, the club acquired sandy patch of land before World War I. The future Bökelberg was built in 1919. 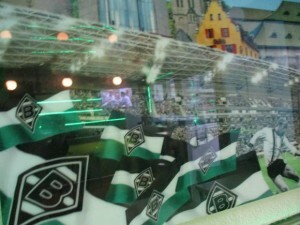 Borussia were a mid-range power in the region, enjoying occasional victories over local rivals Köln. One came in 1960, a cup run that led to Borussia taking the trophy. The winning goal came from striker Albert Brülls, later to play in two World Cup finals. Soon afterwards, coach Hennes Weisweiler arrived from Köln. 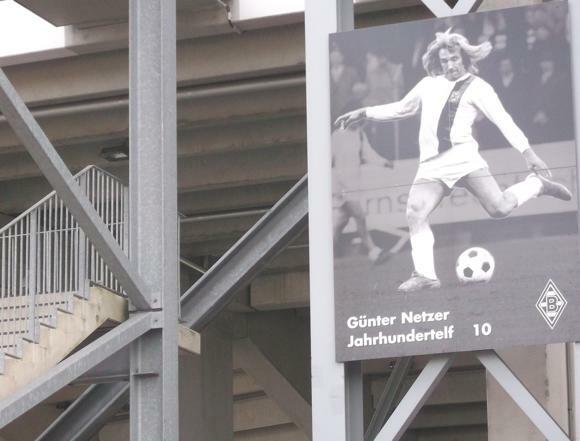 Discovering a young Günter Netzer and Jupp Heynckes, the savvy Weisweiler built a swift, attack-minded side who won the Zweite then, with Berti Vogts and Herbert Wimmer, held their own in the Bundesliga. With spectacular goals from Danish international Ulrik Le Fevre, Weisweiler’s young Foals won the league in 1970. After losing a penalty shoot-out to Everton in the subsequent European Cup, and with Rainer Bonhof coming through, Borussia won another title in 1971. The most memorable night at the Bökelberg came that October, and the 7-1 thrashing of Internazionale. The match was later annulled after Roberto Boninsegna was allegedly hit by a Coke can thrown from the crowd. Weisweiler found more talent in slight striker Allan Simonsen, who starred in the successful run to win the UEFA Cup in 1975, the culmination of Weisweiler’s 11-year tenure. By then, Netzer had left for Real Madrid, his own farewell the winning goal in the 1973 Cup Final. With Uli Stielike as the defensive midfielder, a more complete Borussia won three consecutive titles from 1975 to 1977 but again had little luck in the European Cup, losing on away goals to Real Madrid and the final to Liverpool a year later. This was one of several crucial games with The Reds that established a long-lasting supporter friendship. The UEFA Cup win of 1979 ended a memorable decade. The following one had its highlights – the cup final of 1984, lost on a missed penalty by Borussia star Lothar Matthäus soon to join his Bayern opponents – but Mönchengladbach were in debt and in decline. 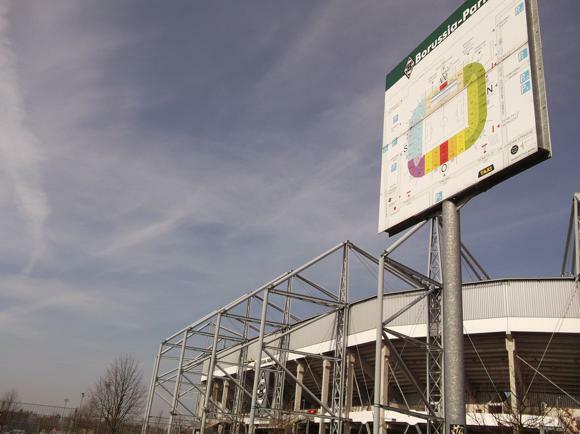 Relegation and slow subsequent recovery coincided with the opening of the Borussia-Park in 2004. Promoted in 2008, Die Fohlen enjoyed an excellent 2011-12. Under coach Lucien Favre, young keeper Marc André ter Stegen and striker Marco Reus helped gain a Champions League qualifying spot. 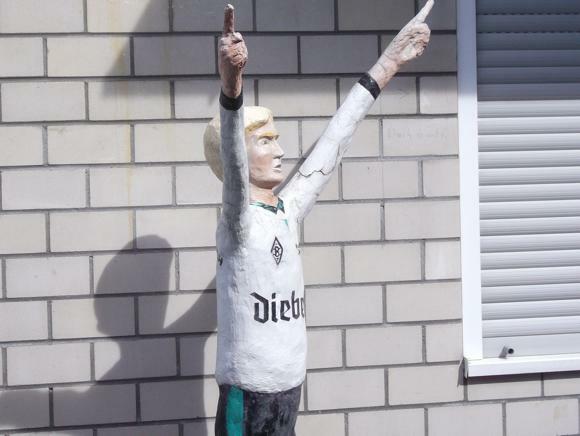 Despite defeat to Dinamo Kyiv and the departure of Reus to Dortmund, Mönchengladbach have rediscovered their mojo and now just need more regular European action. A winless start to the 2015-16 campaign saw Favre’s departure, to be replaced by Andre Schubert. 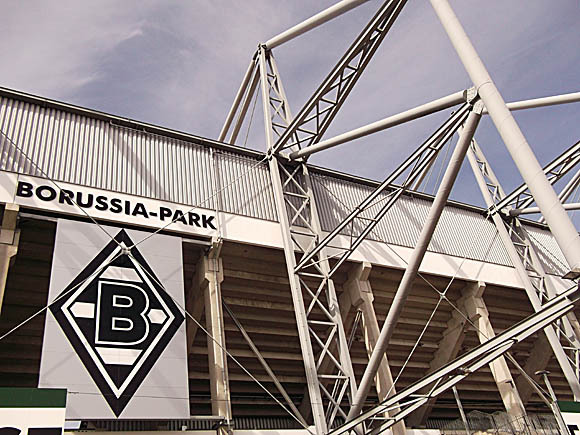 Opened in 2004, Borussia-Park replaced the legendary Bökelberg, which had served Die Fohlen for 85 years. Borussia had bought a sandy plot in Eicken in March 1914. Nicknamed the ‘De Kull’, the Gravel Pit, the ground was opened in September 1919 as the Westdeutsche Stadion. Later named the Bökelberg, the arena saw several improvements as Borussia gained success in the 1960s, with a roofed main stand and a vociferous standing Nordkurve among a capacity of 34,500. 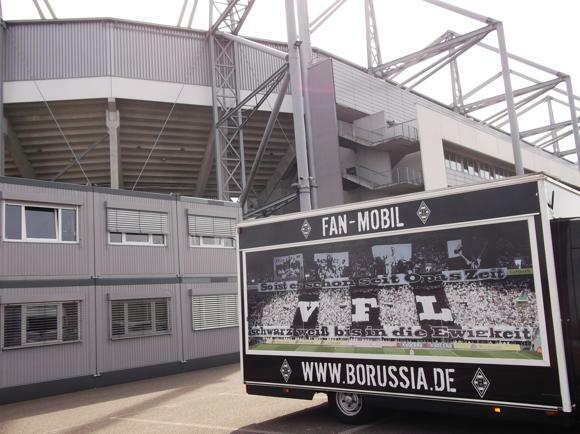 This proved too small for Borussia’s biggest matches, played in Düsseldorf or Cologne. Residential displeasure scuppered any plans for expansion. Talk turned to a new arena. 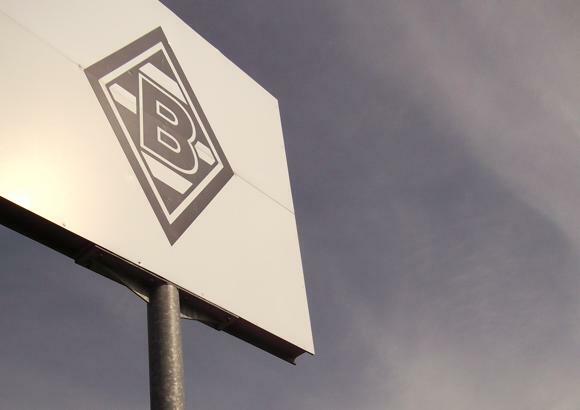 It was general manager Rolf Rüssmann who instigated plans to transform a former British military barracks into what would become Borussia-Park. 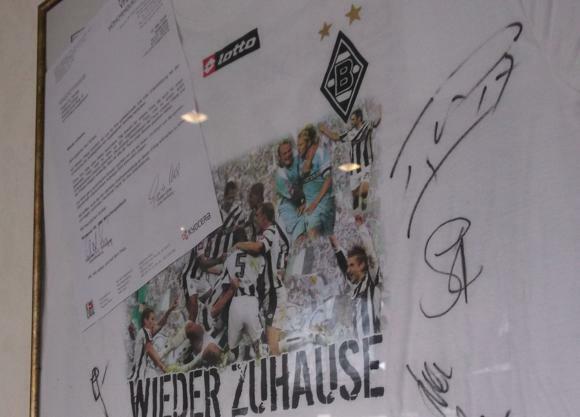 Taking two years and costing €87 million to build, Borussia-Park was opened in July 2004. It retained a Nordkurve terrace, part of nearly 19,000 standing places within a capacity of 54,000. For international matches, such as the four already staged, this is reduced to an all-seated 46,000. Overlooked for the 2006 World Cup, the Borussia-Park hosted three games for the 2011 Women’s World Cup. With home fans in the Nordkurve and away ones allocated seated and standing places in sectors 6 and 7 of the Südkurve, Borussia-Park features one of Germany’s finest stadium bars in the Westtribüne. 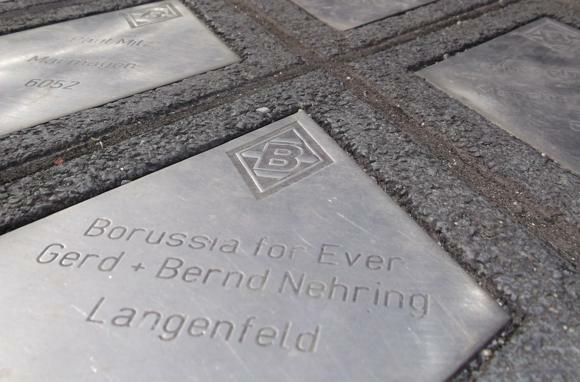 Beyond are training pitches and, on Hennes-Weisweiler-Allee, a display of fan name plaques, each in the famous diamond shape of the club badge. On match days, from Europaplatz outside Mönchengladbach station, a special service of bus line 017 runs to the stadium, journey time 15mins. Alternatively, on Platz der Republik on the other side of the station, shuttle buses run every 5mins, from 3hrs before kick-off to 2hrs afterwards. Public transport is free for ticket holders. 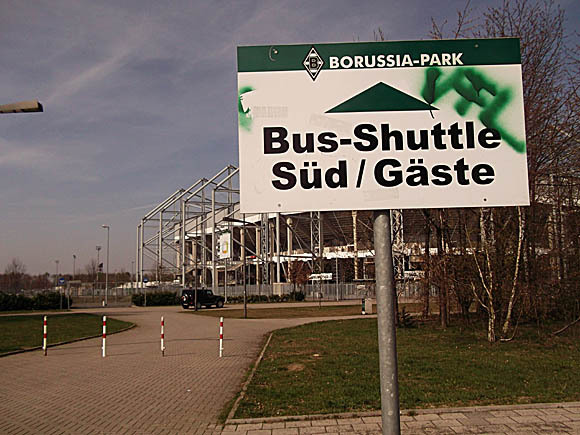 On non-match days, bus No.017 (every 20mins) takes just over 20mins to reach the Borussia-Park stop from the station, or bus No.014 from Rheydt station also goes via Borussia-Park to the town centre. Tickets can be purchased after registering online. The most expensive seats are the Zentral ones (€44.50) in the West- or Osttribüne over the halfway line, with those nearer the goals at €35.50-€33. The upper tier at each end costs €27.50-€30.50, including the away sector 7 in the south-east corner. Away standing is €14.50 in sector 6. A supplement is added for bigger matches. Tickets are also sold at Desk 1 in borussia der Shop (Mon-Fri 10am-7pm, Sat 10am-4pm) in the Westtribüne, and two other outlets, including the Marienhof (Wallstraße 16/Viersener Straße, same opening hours). There are also ticket offices around the ground, Süd, Ost and Nord-West. 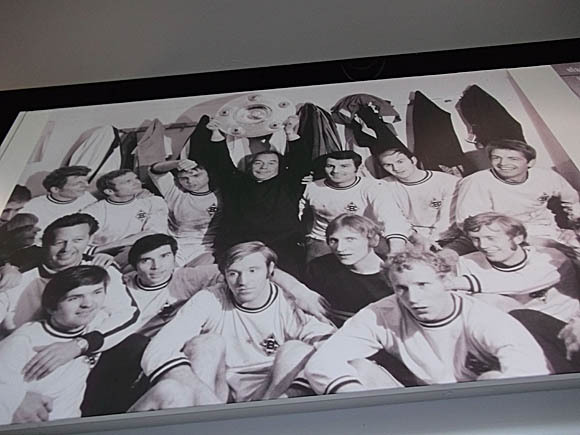 The main boutique is borussia der Shop (Mon-Fri 10am-7pm, Sat 10am-4pm) in the Westtribüne, done out with the same archive black-and-white photos as the Sportsbar next door. Club mascot Jünter the foal features on the child-friendly merchandise. 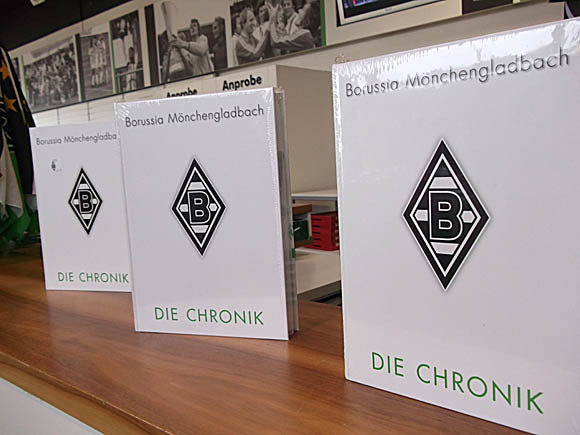 Adults may prefer a bottle of Borussia wine or the illustrated history of the club, ‘Die Chronik’. Other outlets are at Marienhof (Wallstraße 16/Viersener Straße, same opening hours) and in the Shopping-Galerie in Rheydt (Stresemannstraße 1-7; Mon-Fri 9.30am-7pm, Sat 9.30am-6pm). On Fridays (3pm), Saturdays (11am) and Sundays (11am, 1pm, 3pm), 90-minute German-language tours (€9/€4 7-14s) take place except on match days. 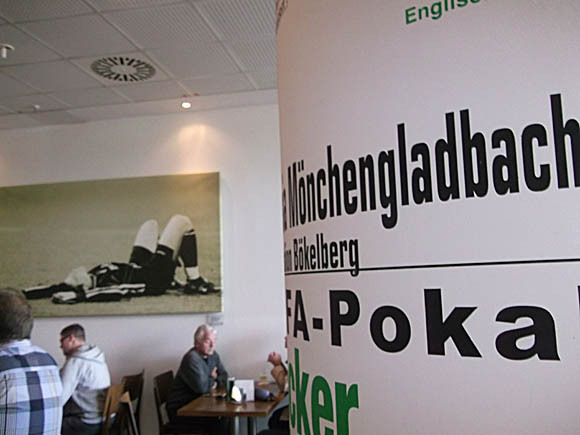 In the Westtribüne, gladbach** – die Sportsbar (daily except match days 11am-8pm) displays Netzer-era match posters as advertising pillars and large black-and-white images on the walls. Note the shot of Borussia players lifting the league trophy, Netzer looking askance as if he were having a really bad day at the office. 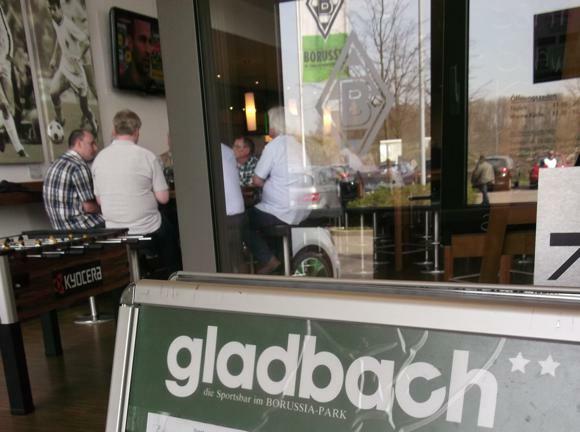 Diners can go for a simple Borussia-Park curry sausage and chips (€4.80), a rumpsteak in pepper sauce (€10.20) or a daily changing lunchtime menu (€5.90). On match days, the Sportsbar is VIP-only. The FanHaus (Mon noon-7pm, Tue-Fri noon-5pm, home games 4hrs before and after match, away games 1hr before and after) is across main Gladbacher Straße, through greenery on Dahlener Heide. Gallons of Diebels Alt and Jever are sunk in this large beerhall, the former Ayrshire barracks now with Borussia scarves lined along the ceiling. For a quieter drink, the terrace of the nearby Palace St George hotel/restaurant is a pleasant spot. There are no other bars or cafés in the immediate vicinity.